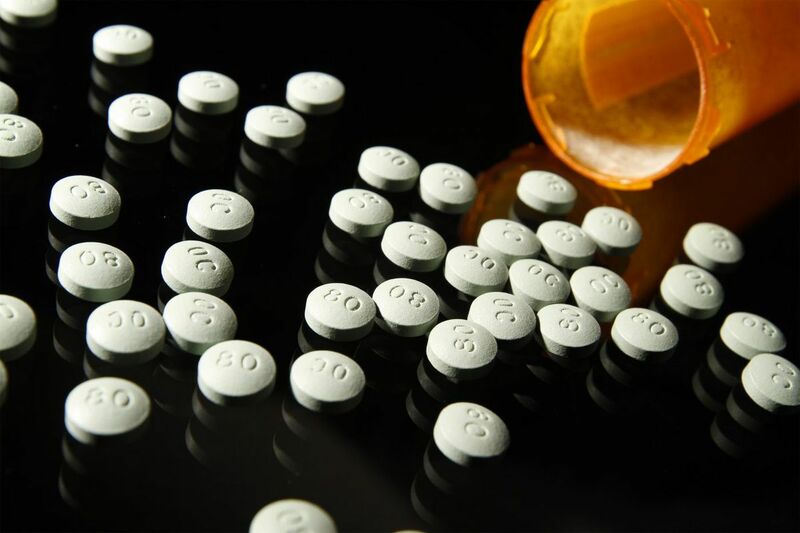 Purdue Pharma, maker of OxyContin, should takes it strongest form of Oxycontin off the market, government lawyers tell the judge hearing their suits. results in addressing the crisis, according to people at the meeting. attendance at the Wednesday meeting. They spoke on the condition of anonymity because they weren't authorized to speak publicly about the closed-door summit. money to also address business practices and the roots of the crisis. Robert Josephson, a spokesman for privately owned Purdue, declined to comment on the recommendation that the drugmaker do away with the strongest version of Oxycontin. It's the company's biggest-selling drug, though sales have slid in recent years. The painkiller generated $1.8 billion in 2017, down from $2.8 billion five years earlier, according to data compiled by Symphony Health Solutions. Heard III told the judge, according to the people. Having more defendants in the case might mean more contributors to any settlement fund. Heard declined to comment on the meeting and directed questions to Cardinal Health. Ellen Barry, a company spokeswoman, also declined to comment. Polster heard presentations from state attorneys general including Ohio's Mike DeWine, Alabama's Steve Marshall, Tennessee's Herbert Slatery and Kentucky's Andy Beshear about how opioid addictions and deaths are ravaging their states, according to the people attending the summit. Slatery and Beshear didn't immediately respond to requests for comment. Polster hasn't yet scheduled another conference in the case. The case is In Re: National Prescription Opioid Litigation, MDL NO. 2804, Before the U.S. Judicial Panel on Multidistrict Litigation (St. Louis).